The best hot chocolate ever. 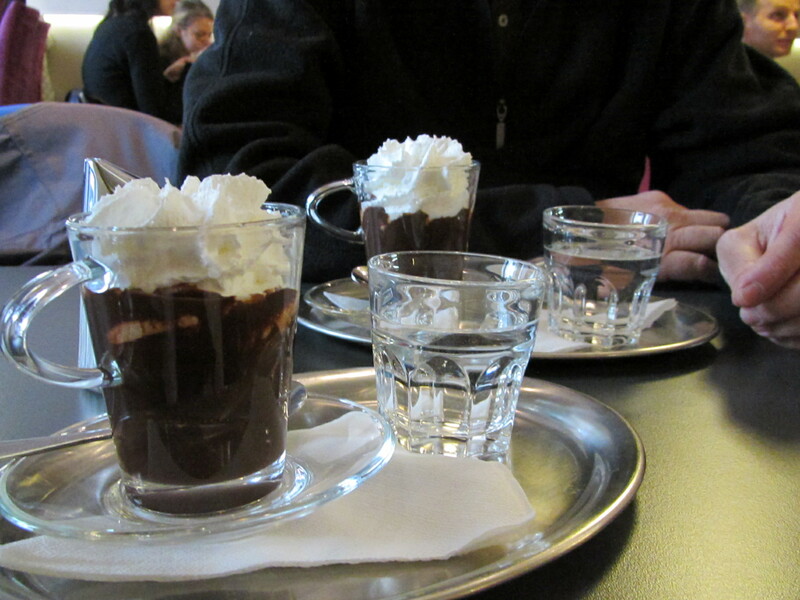 If you know the recipe for Slovakian hot chocolate, please share! 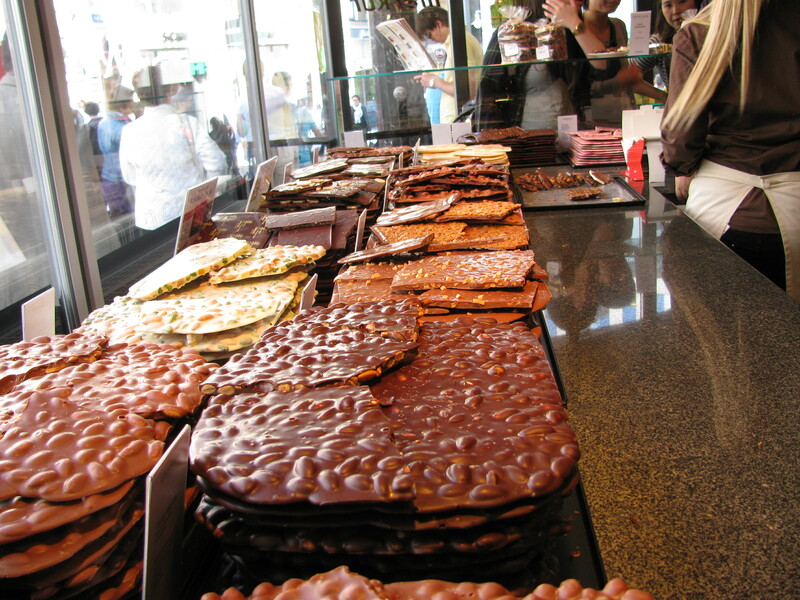 German chocolate, Dutch chocolate, Swiss Chocolate and the top-of-the-world fabulous chocolate caramels served up at the little-heralded Chocolat shop at 703 Fort Street in Victoria, British Columbia – these are few of my favorite things. After swooning to the wonders of German chocolate, I was not expecting to find anything comparable in Europe, much less Slovakia, but it turns out I was wrong about that. 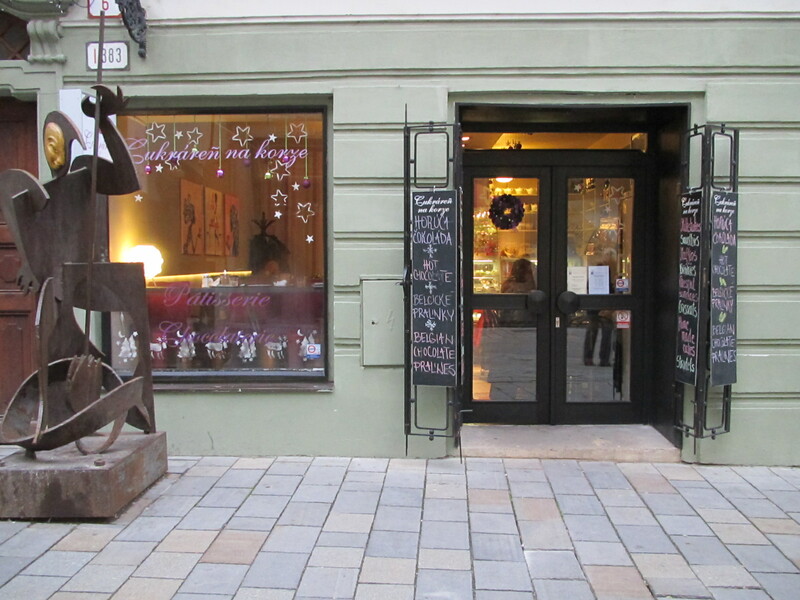 Seated in the snug Cukraren na Korze in Bratislava’s historic district, we devoured the best chocolate ever. I use the word “devoured,” but it could just as easily be said that we sipped on it. The chocolate was a hot chocolate beverage topped in genuine whipped cream, and while many have used the term “you could stand a spoon up in it,” only as a descriptive for richness, Cukraren’s hot chocolate really can support a spoon. It raises the question: Is it hot chocolate? Or pudding? I don’t know. I don’t care. I just love it. I’ve been trying to figure out the recipe all this month, but so far it eludes me. My father was Slovakian by birth, and he went to school in Bratislava, but of all the great food he put on the table, he never produced a cup of hot chocolate like this. I think he knew I had a weakness, and that bringing Bratislava’s hot chocolate too early into my life could lead to things, like not being to find a bathroom scale able to register my weight. 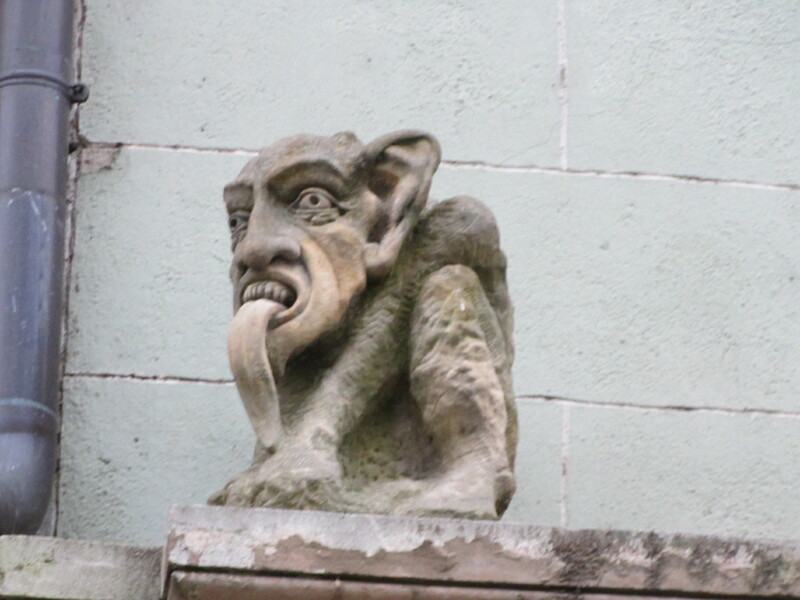 If you go to Bratislava, you’ll find Cukraren (with more accents and strange squiggles on its signage that my keyboard will allow) on Michalska, just a few doors down from St. Michael’s Gate and across from these ugly gargoyles. I don’t remember what the hot chocolate costs, but I didn’t particularly care after tasting it. This little guy obviously wants more hot chocolate. Bratislava, or as the Italians call it: Brateeslaaaaaahva. It sounds nicer that way. 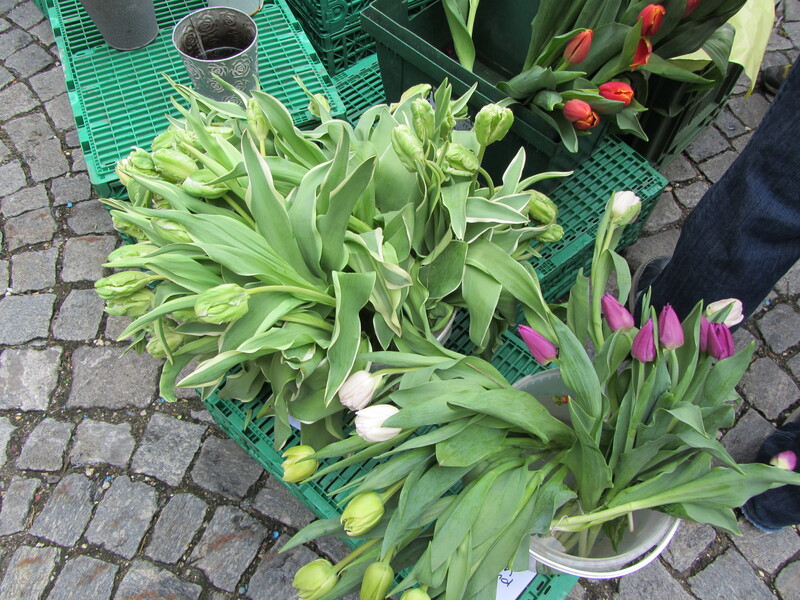 To look at travel brochures and economic reports, one would think Slovakia is on the upswing, and that would be true. There is nowhere else to go but up when buried in the economic basement of post-communist rule. The Soviets have been long-gone but their legacy lingers in the form of extremely ugly architecture and decaying urban districts. This does not mean Slovakia is not worth a visit: It is its very grittiness that make it a welcome contrast from Europe’s posh locales. 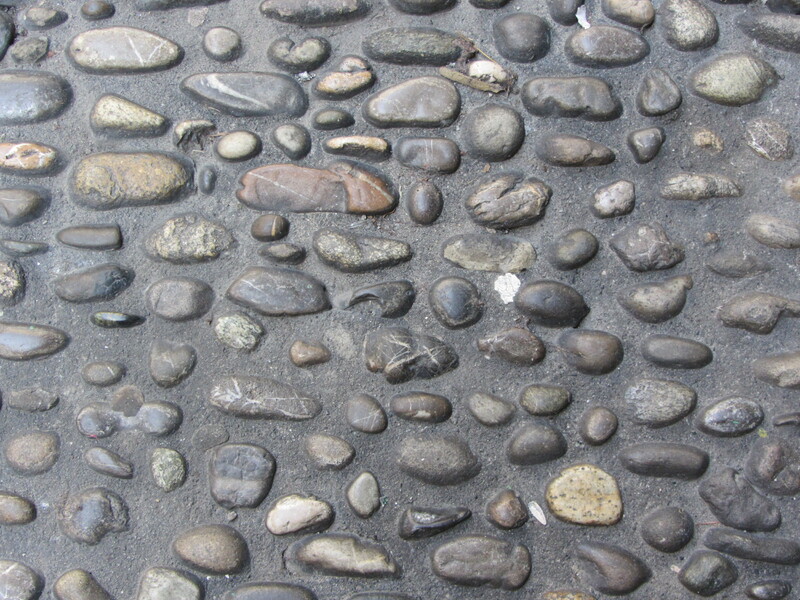 How to get more blog hits and a little on locked churches. I have learned something about blogs and how to get more hits. Just in case you’ve ever researched this topic before, there are plenty of sites that give you tips on this, but none of them work. Just saying. What does work, however, is posting a picture of an attractive young couple, as I did earlier this week. I had no idea it would have the impact that it did. My web-hits zooooomed upwards. But that is a cheap and tawdry trick, although many successes are built on such (People Magazine, ET Online to name a few). 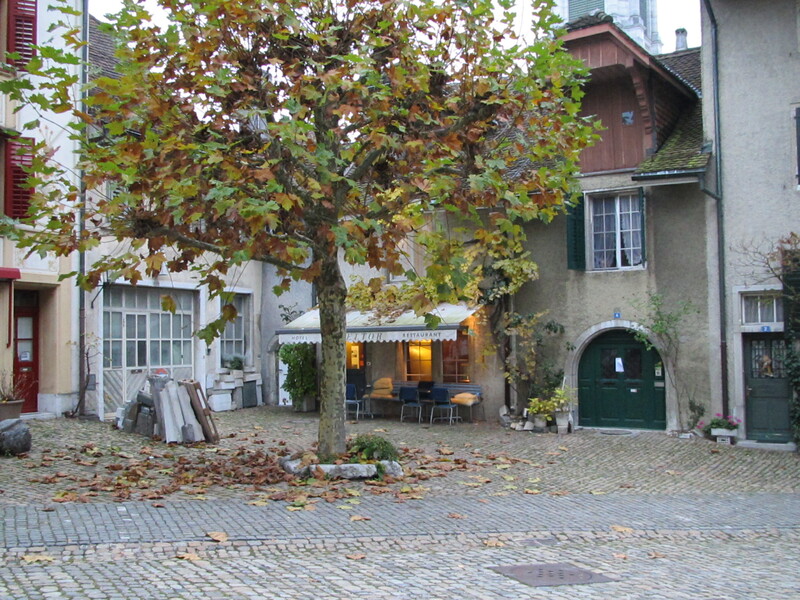 So, today, we are back to our regular programming, which is photos of old buildings. Some of them aren’t even pretty. 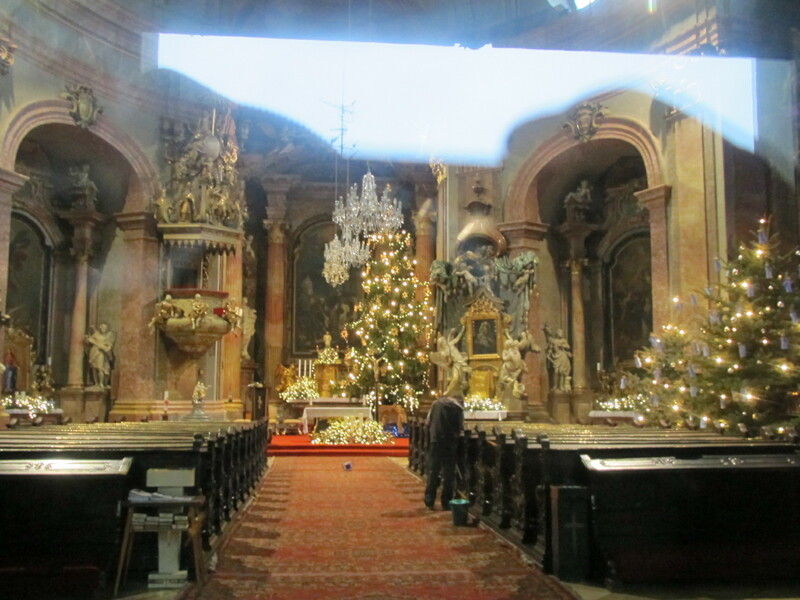 Here’s a start with a photo of a Catholic church in Bratislava, Slovakia. You may notice a glass sheen in front of it. That is because the church was locked. 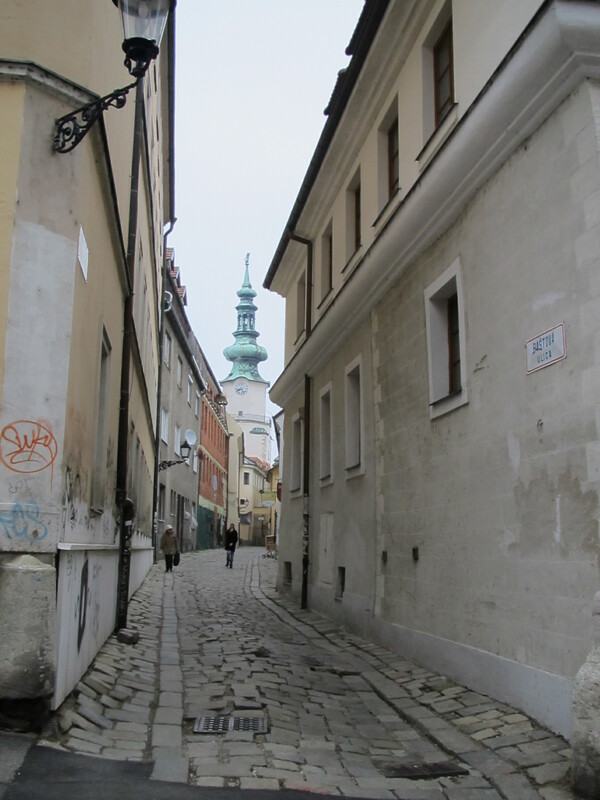 In fact, Bratislava is the first European city we have visited to have locked churches. 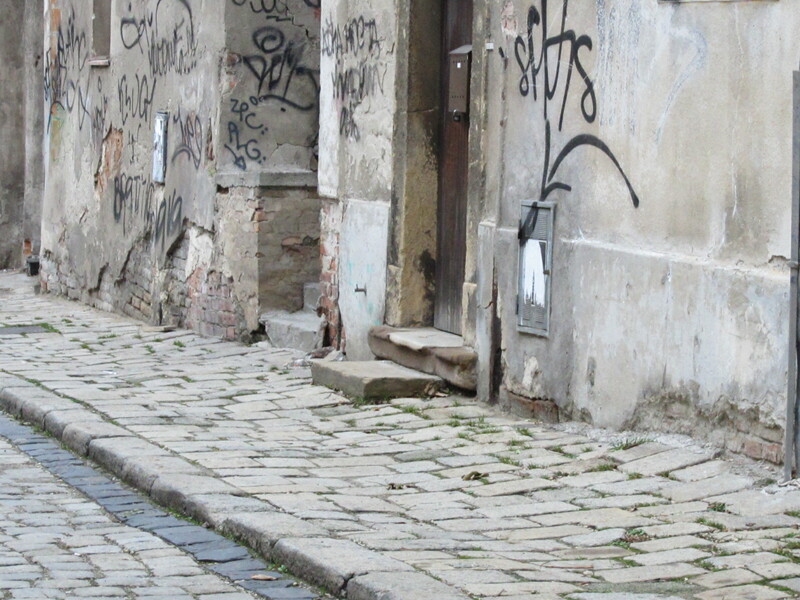 A look at the streets told us why: The place looks impoverished, and so it’s fair guess that vandalism might be an issue. We did sneak into a church, however, immediately after a small group celebrating an infant baptism was let out. Dave was a little antsy about doing that in a country where the last time they saw someone in my bloodline, they shot at him, but I say, what the heck. Just go for it. And no one shot at us. This is what is outside.